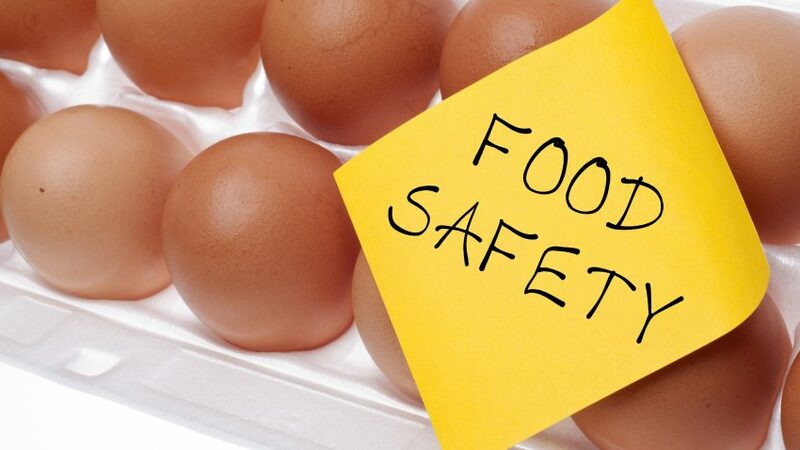 Eggs Can Carry Salmonella Food Safety Concept Concept with Brown Egg and Yellow Note. Contamination of food arising from naturally occurring toxins and chemicals such as additives and pesticide residues could have deleterious effects in humans. Current approaches for contaminant detection in food are based on pre-defined suspected lists of chemicals, meaning that unexpected chemicals may slip through the cracks. A new thesis from ACES presents a state-of-the art method to screen for both known and unknown contaminants in food products. The researchers hope that their “holistic” approach will enhance food safety. “Our method allows us to search for toxins, pollutants and other hazards in food, without knowing their identity. In an increasingly globalised and industrialised world, this is important as more and more chemicals are used nowadays,” says Erik Tengstrand, former PhD student and author of the thesis. Erik and his colleagues deduced the composition of three popular brands of fresh orange juice using a combination of state-of-the-art techniques to separate and identify individual components of each sample. Signals picked up from a substance appear as a ”peak”, the height of which is proportional to the amount in the sample. Next, the researchers compared the signal profiles of the three brands of juice. The peaks that appeared in all three samples were assumed to be naturally occurring and were ignored, while those that appeared in some but not in others were selected for a closer look. “Signals that only appear in a subset of samples come from suspected contaminants, which were then identified with traditional methods,” says Erik Tengstrand. He admits that it had been a tedious process to undertake, as many food products contain thousands, or even tens of thousands of chemicals. The motivation behind the study lies in a well-noted incident in China back in 2008, when 290000 children had been reported sick from melamine contamination of milk products. Of the 290000 children affected, 52000 were hospitalised. “If melamine had been found in only one of these products, they could have been recalled, and the incident averted,” says Erik Tengstrand. To avert similar incidents in Sweden and elsewhere, the National Food Agency and the Swedish Civic Contingencies Agency urged for the development of a “holistic” approach to food safety analysis. “Our method can potentially be applied proactively. If we only investigated expected chemicals, we would make ourselves vulnerable. By contrast, if we routinely analysed batches of foodstuff for all possible contaminants in them, we would have a good chance of finding unexpected contamination,” says Erik Tengstrand. The scientific community has coined the term “foodomics” to describe the comprehensive identification of small chemical molecules in food. “Foodomics has a promising potential for use in food safety analysis. We can never know what the next big incident will be,” says Erik Tengstrand.